I have rented apartments from VIP for years. They are the consummate professionals. These people are true professionals. If you are traveling internationally hoping to have a vacation of a lifetime, go with the Pros at Vacation in Paris. Their communication before, during and after our stay was exceptional. Vacation In Paris has great properties, a knowledgeable staff and you can rest easy that when you book your rental that it will be exactly as advertised and it will be ready and waiting for your arrival. Exceeded expectations. VIP gets another "A" for its communication and information here in the US. Your staff always does an excellent job, a big reason that I have continued to use your Paris rental service for several years now. ...thank you so very much for everything you do to make our time in Paris as wonderful as it always is. Thank you for finding terrific apartments to rent at reasonable prices and in great neighborhoods, for having competent and caring managers, for patiently answering all our questions and for making the process of having a place to live in Paris as easy as it possibly could be. Please stay in business for the rest of our lives because we never want to work with anyone else! Absolutely thrilled with our overall experience with Vacation In Paris. All communication was dealt with efficiently and promptly. We will definitely be returning customers! Everything about the reservation process, the apartment, the warm welcome and support throughout our stay was amazing! We love Paris thanks in large part to our experience with Vacations in Paris! ...we found Vacation in Paris and have never been so happy. They deliver on everything they say, PERIOD. The place we rent is exactly right for us in every way. Now, as soon as we know our dates for the next year, we just book with them and we know everything will be done the right way. Vacation in Paris is a fantastic business. Everything, from the timely response (and personalized) to my inquiry about renting, the various communications that come later ...topnotch. The apartment management is amazing, and dealt with them (VIP) was as enjoyable as staying in the apartment. I go to Paris very often and rent apartments, but it was never as easy as with VIP. They actually sent me the key of the apartment before I left the United States and it made it so much easier on me. I ended up having a delayed flight and had to get into the apartment very late at night. I didn’t have to worry about anyone waiting for me, because I had my own key. We have used VIP many times over the past 12+ years and will continue to do so. We always find great value for money, whether a cheap and cheerful studio or a luxury apartment splurge. Thanks again VIP - see you next time! OK... surveys are always hard to explain the full truth of some one's experiences. That being said, this apartment, the owner, and the crew at Vacation In Paris were all A+++. Communication from everyone was great. 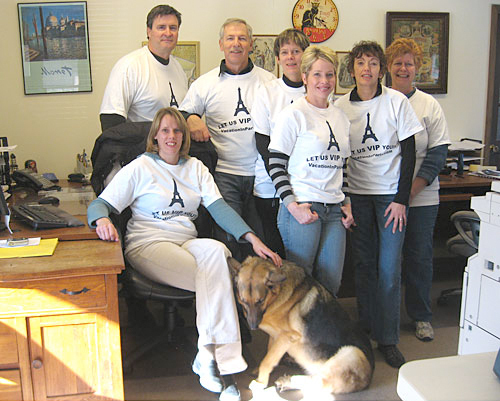 We have stayed in your properties one or more times annually since 2002; we love Paris and we love your properties. We always get excellent locations and outstanding value...we will continue to use your services as long as you continue to provide them. Thank you again for a lovely stay. Have now stayed here 3 times and once elsewhere in Louvre from same excellent agency who I rate 5/5 ...VacationinParis in New Jersey. Considering we are from Australia, why would we use an agent from New Jersey..? because they are super efficient and professional and reliable. The apartment surpassed all of our expectations – from the excellent and convenient location, easy access to buses, metro and RER, proximity to great food shopping in rue Daguerre, to the stylish and comfortable furnishings, exquisite artworks, more than amply equipped high-tech kitchen and a plethora of useful guidebooks on Paris, and last not least the attentive and prompt service and support provided by the local manager! In one sentence: the perfect pied-à-terre for a stay in Paris. We have been renting an apartment in Paris for our annual vacation there for many years. Each year we go through the generally unpleasant and time consuming experience of our annual search to look for another place to rent. For the first time EVER, we feel like we have found that place. Add to that the fact that EVERYONE we were in touch with from your organization was wonderful to us, and we feel like we won the “Paris Apartment Lottery!!! We really appreciate all of the effort that your people put into making our visit special. Thanks to all of you for that. "I'd like to offer any assistance I can to help spread the word about your business. If you ever receive an email request for a reference I would be pleased to respond, either through you or to the requestor directly. We couldn't be happier with everything we experienced in Paris. Thank you so much and good luck!" "The entire rental experience was flawless. The information package arrived more than a month before our trip. We received the key more than a week before our trip. The information package was very detailed and made our trip planning easier." "Kudos to you and your staff. The property was exactly as advertised and absolutely perfect for our needs. But more, the logical and well thought out process you have developed to make this all work seamlessly is a service that's very important, and a service you've done extraordinarily well. Well done guys!" "We highly recommend Vacation in Paris. All of our interactions with their representatives--as well as with the apartment managers--were professional, appropriate, and personally satisfying. Being able to use PayPal for payment transactions was efficient and worry-free, unlike the cash Euro payment on arrival that some other rental sites require. Moreover, during our stay when we reported that the apartment TV was not working, the apartment owners responded with reasonable speed in replacing it, and they later agreed to an adjustment on our rental cost that we requested through Vacation in Paris. We were gratified that everyone treated us "comme il faut." As is obvious, we thoroughly enjoyed our experience in renting and staying in this Paris apartment, and we wish you a bon sejour!" "Absolutely everything about this apartment was beyond our expectations. It became a haven between fully packed days exploring Paris and afforded us a comfortable, handy and pleasurable place to call 'home' while in that beautiful city. The apartment location, ambience, privacy, convenience and it's great sense of history all combined to make us feel that we had made a wonderful choice supported by the excellent levels of service and communication from Vacation in Paris staff." "The process, from start to finish, was pleasant and thorough. I highly and whole-heartedly recommend this agency." "The apartment and it's location were perfect! We loved everything about the apartment - it was so warm and cosy. It was lovely to be able to make ourselves at home - it had everything we needed. The travel guides were wonderful - we used the quite a bit. We'd go out for the day or a few hours and come back for a rest and go out again. I just wanted to pass on my thanks to you and your team for such an easy and seamless process and for providing such a great service. It really made our holiday so enjoyable and will be recommending you to anyone wanting to listen." "On a scale of 1 to 10, a 10! We have booked with you before and although that too was a very positive experience I would say this was even better. Everything was as described and were able to come and go in comfort and with ease- the perfect recipe for a great vacation. Thank you Vacation in Paris!" "I'm now sold on the VIP experience. I'll book either this or another property through you the next time I'm in Paris - and I'm usually there once a year or so." "We had never rented a vacation apartment before, and were a little nervous (no - scared!!) about committing so much of the success of this once in a lifetime trip to something found on the internet, especially since we were staying for three weeks. However, after talking to the Vacation in Paris people in NJ, who answered all my questions, and helped us make the right choice, we were a little calmer. Five minutes after our arrival, we were sure we made the right decision. Thank you for making our trip wonderful!" "Our month long trip included four apartment stays, four B&B stays, and one hotel. Our Paris apartment booked through you, had the most complete information on arriving, staying, enjoying, and departing. You made it very easy for us to check in and enjoy the wonders of Paris. Thank you!" "Your service was absolutely top notch. We travel a lot and rent apartments in different cities and the ease and professionalism that you offer your customers is the best we have ever experienced. Thank you Vacation in Paris for helping us have the family vacation of a lifetime! We hope to use your services again and will definitely highly recommend you in the future (in fact, we already have)." "I would gladly recommend you to anyone I know and I will inform...of my the wonderful experience I had not only in Paris but in working with you as well. I hope to return to Paris again and when that time comes I would love to book my lodging through you. It not only saves money to rent an apartment over a hotel room, but living in Paris gave me an outlook on Paris I wouldn't have had if I stayed at a hotel. It was a great experience to live in a foreign city and the area I was in was amazing. I absolutely loved it!" "Dealing with Vacation in Paris was a pleasure from beginning to end. All the office staff are professional and friendly. I would not hesitate to use Vacation in Paris again. Thank you for all your assistance and suggestions"
"From the moment I contacted Vacation in Paris, Donna was very helpful. She provided with all the information I needed and was in touch with me constantly, few days later I received the keys for the apartment and all the instructions. Since time passed between the day I received the instructions and I arrived to Paris, I forgot one simple and important information, the code to access the front door! I called the manager right away and she was amazing, by the time I arrived to the apartment the cleaning lady was finishing with the cleaning and she let us drop our bags. When we came back from a beautiful stroll around the building the apartment was spotless and a bottle of red wine was waiting for us... I only have excellent words to describe the costumer service and the apartment, I can't wait to go back to Paris, it was a pleasure doing business with Vacation in Paris. I'm looking forward working with you in the near future, until then thank you for everything!" "I cannot tell you how much we loved this apt. Great neighborhood, safe, quiet. Beautiful apartment, lovely view. If I ever return to paris I am most definitely renting this apt again!!!! !THANK YOU ALL FOR A WONDERFUL EXPERIENCE MY FIRST TIME TO PARIS!!! Will recommend your company to anyone I know that is planning a vacation to Paris!!" "Was very leary about renting an apartment in lieu of a hotel but I am very happy that I did. We ate breakfasts in the apartment each morning and twice had dinner there as well." Everything worked out better than expected and as good as I had hoped. "This was an extraordinary experience. I have not rented a short-term apartment in another city before so was a bit unsure of what to expect. From the moment I contacted Vacation in Paris, things went smoothly. I was given information about available apartments (the website was wonderful in helping to identify where the apartment was in the city as well as amenities and photos!). Once I chose, the payment process was smooth. My keys and related information arrived a couple of weeks ahead of our trip. We had everything we needed and the information in the packet was really helpful as was the map. The apartment was just lovely and perfect for the two of us." "Loved the property,your efficiency throughout the booking,stay,and key refund. What a pleasure to find such a nice reliable company, I have told many people both here and overseas about you already! !...Thank you all so much!" "The experience with Vacation In Paris was incredible with great communication and not a single issue with the entire process nor our stay. I highly recommend booking with Vacation In Paris!" "I'm a repeat customer of your company, and I'll be coming back the next time I travel to Paris. The office staff was extremely helpful and made sure I knew that this property was a walkup. I really appreciate the effort to be forthcoming and to make sure that your customers have all the necessary info they need to choose the right property." 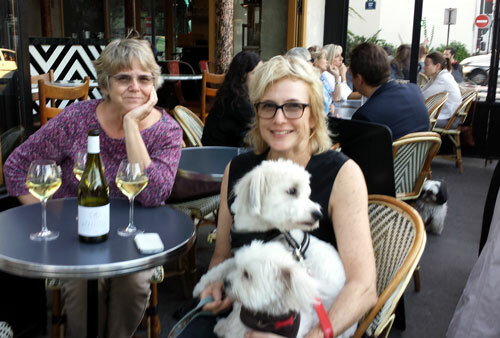 "We had a wonderful time in Paris and would highly recommend anyone looking to plan a easy hassle free trip to contact Vacation in Paris for their apartment rental services. The next time we head to Paris, I know we will be giving them a call." "There is such a difference between staying in a hotel where you are viewed as a "visitor" and staying in an Paris apartment where for a brief moment in time, we can feel like locals! Last year was our first experience opting away from a "hotel stay" and using Vacation In Paris to source an apartment..... this year's experience was even better.... the most difficult part for next year's trip will be deciding which property we will choose to stay in as we have fallen in love with ID #122! Thank you all for making this process of selecting, booking, and utilizing the apartment so very easy..... I only wish we had started many years ago! " "We were a bit skeptical when we first booked our stay. It was our first time to Paris and not quite sure what to expect. We couldn't have been happier with our accomodations. Our location was great, within walking distance of many places and close to public transportation. We most definitely will use the services again. Thank you for a wonderful experience." "This is the second time that we've used your service and again everything was just perfect, thank you! The apartments are exactly as stated, the information given before the trip is very thorough, you've thought of everything and it is much appreciated. I've recommended Vacation in Paris to everyone that mentions visiting Paris. It really is the only way to go! Thank you once again." "I've used Vacation in Paris for years and I recommend them to everyone. The service & the value are amazing." "Vacation in Paris was the first international apartment rental company I ever dealt with on the net, but it paved the way for me for a “new type of holiday” all around the world. I will NEVER stay in hotels anymore – why would anyone in their right mind do that?? I will also add that I have dealt with agencies in London, Rome, Florence, Venice Barcelona, on the Greek Islands and in Bali, but Vacations in Paris by far make it the easiest in terms of fast responses, sending keys, clear directions, local contacts in case of problems etc. So yes, I certainly DO have faith in your services. I can even safely shout out that you guys ROCK!" "I have rented from VIP multiple times, and am always so impressed by all of the sterling office personnel who are so wonderful to deal with in every phase of the rental process. It is a world class operation with a small family business feeling of truly taking care of its customers and sincerely wanting them to have a great travel experience.. MERCI BEAUCOUP, as always!" I was very pleased with the service VIP offered. Very professional, accurate and secure. The dates of my visit were a little difficult but everything was ok. The attention from all the staf was very kind even for a newbe like me. I would definitely recomend the VIP to all my friends and family and for sure I will use the service again for myself when back to Paris. Our staff is happy to help with all your rental needs!